In James 2:14–26, James presented his main message—genuine faith in the Lord Jesus Christ produces works that reveal we are children of God. 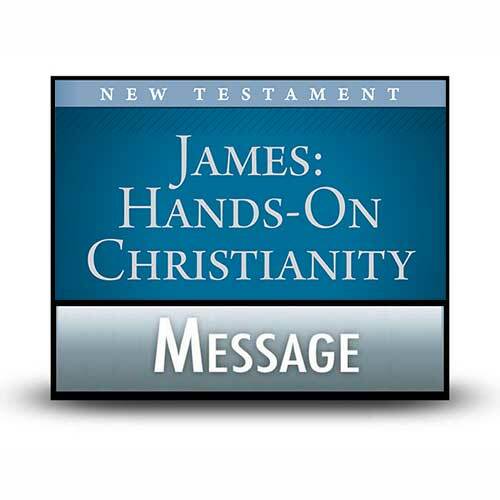 In this third chapter, James went for the jugular of the Christian life, the tongue! In these twelve verses, we are given a basic principle, then illustrations and examples that amplify the principle. No other section of the Bible speaks with greater authority and impact about the tongue than this which James wrote. Ask God to rivet His truth into your life as you are exposed to this powerful passage of Scripture. Then, with your heart filled with truth, your tongue will honor Him.